It has often been discussed between watchers as to whether mortal beings would be much advantaged by knowing how active we are in their lives. We have observed that even in those belief systems that include angels in their cosmologies, there are very few among them who actually regard us as real, living beings. In systems like the Kabbalah that do acknowledge us as physical beings--albeit living in a different dimension or on a different material plane--the only people permitted by religious law to make close contact with us had to be mature men with a full experience of life. There is good reason for this. It is not for us to live your lives for you. Yes, we guide you gently toward those people and experiences that further your spiritual awakening, but we can only serve and support the choices you make in your lives. Unless specifically instructed, we can never interfere with your choices. If a person continues to make poor choices, for example, we simply step back and allow the consequences of those decisions to play themselves out in that person’s life. 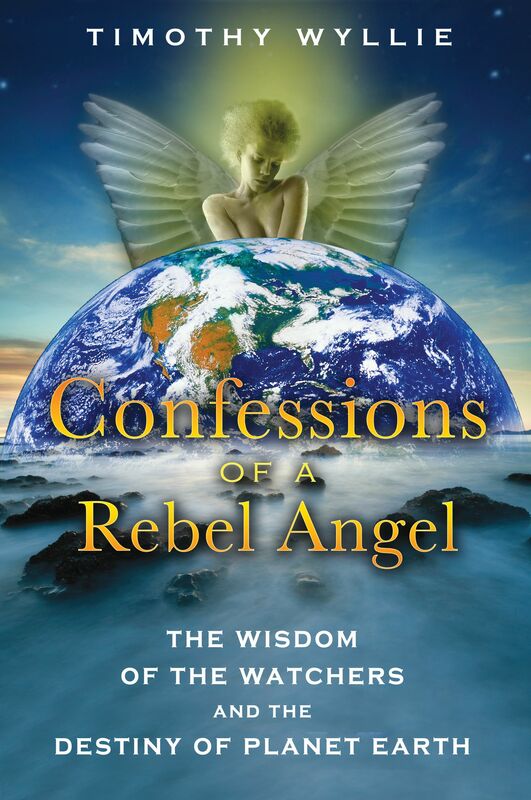 Angels take your freedom to choose the quality of your lives on a moment-by-moment basis very seriously indeed. Also, knowing that many humans, for a variety of reasons, choose to learn their spiritual lessons from personal tragedy and the catastrophic events they invite into their lives allows us to take the longer view. We know everything ultimately works out for the best, given time and patience. What we don’t know is how this is going to happen. This might sound lacking in compassion to some. After all, if we are so marvelously farseeing, why can’t we steer people away from the disasters that ruin their lives? Although under extraordinary circumstances we’ve been known to do so, the truth is that only those who are sensitive to our whispers and who trust their intuition are likely to pay any attention. And that, too, is as it’s meant to be. The reader might want to ponder that the World Trade Center had only a quarter of the overall number of people who might have been anticipated to be in their offices on that fateful day in 2001. The author of this book, Mein Host, personally knew four different people whose offices were in the towers but, for one reason or another, found themselves delayed on that September 11th day. His friend Genesis P-Orridge, the English performance artist, for example, told him that he and his wife chose to stay in bed and make love rather than go as planned to the gym in one of the towers that morning. Part of the confusion existing within the human mind regarding the reality of angels finds its roots in the seeming chaos and dangers of modern life. We understand how challenging it must be to maintain your faith in the goodness of the Creator when you appear to be surrounded by injustice, violence, and cruelty. But this is to misunderstand the nature of free choice. What you see in the world around you are the consequences of generations of poor choices. As you’ve probably observed from your own lives, poor choices often have a way of yielding to even poorer choices as you struggle to bring yourselves back into balance after a serious misjudgment. The errors and sins of one generation invariably impact the next and then are frequently compounded by ensuing generations. Considering that there have been more than ten thousand generations of humanity since the time of the angelic rebellion and the quarantine of the planet, it’s not altogether surprising that your world is such a difficult and troubled one. Yet, as chaotic as it might appear to human eyes, there is an underlying order to even the darkest of worlds. The angels who are the Most Highs make use of every opportunity to build on the true, the good, and the beautiful, and some even say they enjoy the challenges posed by angelic rebellions with perhaps a little too much relish. Since the planetary quarantine has been in effect, the secure knowledge that you live in a benign, inhabited Multiverse, teeming with life on the inner and outer worlds, has been withheld from you. This knowledge is part of your mortal heritage. Yes, you have seen glimpses. Teachers have emerged throughout the course of history who spoke about other levels of reality. Shamans the world over have shown a working ability to travel in these subtle realms. Yet this is very different from an everyday awareness that there is always a wise brother or sister to whom you can turn; a visitor from another world with a viewpoint wider than yours; governments you can trust to reflect the highest aspirations of your species; and personal companion angels with whom to consult in challenging moral dilemmas. This is how life is on the multitude of planets not touched by rebellion. In some ways, these worlds appear to be utopian, free of war, injustice, and pestilence, and yet even the most rigidly conservative of administrative angels would have to admit that the very lack of challenges on these worlds can impede the spiritual and moral development of its mortal inhabitants. I’ve come to believe the decision to isolate this entire system of planets, when only thirty-seven of them followed Lucifer into rebellion, speaks exactly to this point. Although few would have known, or admitted to it at the time, what appeared to many of us as an unjust punishment occurred for a constructive reason. It allowed for a wider sphere of experimentation. And make no mistake, this is a massive experiment. It’s now generally known among us that this phase of the development of intelligent life in the Multiverse will soon be drawing to a close.